Is Telechoice The Right Choice For Dividends? Home / Analysis / Is Telechoice The Right Choice For Dividends? A reader emailed me some weeks back telling us that as a dividend investor looking for dividend growth, he is currently comparing Nera Telecommunications Limited (SGX: N01) and Telechoice International Limited (SGX: T41) as both are high dividend yield stocks. He then gave a brief background on Telechoice. Telechoice has an agreement with Starhub Limited (SGX: CC3) as the only StarHub Exclusive Partner to manage full-fledged StarHub Platinum Shops. In Malaysia, Telechoice is also working with U Mobile Sdn Bhd in providing retail management and supply chain services. All three parties (Telechoice, Starhub and U Mobile) have a similar shareholder – Singapore Technologies Telemedia Pte Ltd. I did a quick check myself and found Telechoice interesting enough, so I decided to take his suggestion on-board and have a look at the company. Look for a company that is able to maintain or improve its business fundamentals and competitive advantage. If a company is able to grow more successful, chances are you’ll enjoy higher dividends and capitals gains in the future. But if a company can only sustain its performance, at least you continue to receive your current levels of dividends and the stock is unlikely to fall drastically in price. Either way, you get to protect your capital investment and earn your dividends. Is the dividend payout sustainable? Sometimes, companies pay a one-off special dividend that artificially inflates the dividend yield. In probably all cases, it is impossible for the company to sustain that level of payout. Always do your research and find out what is the true, sustainable amount of dividends a company can afford to pay out to investors. 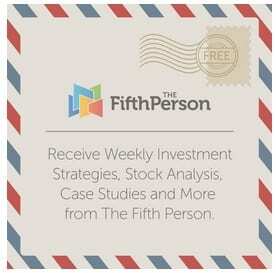 At The Fifth Person, we use a system called The Investment Quadrant to analyse our stocks. There are four main areas (which we call quadrants) you need to look at within a company before you decide whether it makes for a great investment. The four quadrants are – Business, Management, Financials, Valuation. Business. Analyse a company’s business model, their competitive advantage, growth drivers and risks. A company with a great, robust business model that generates growing and consistent revenue and profits is one that will continue to be a great investment over the long run. Management. Analyse the top management team that’s leading the company. Good management can lead a company to higher revenue, profit and growth, while poor management can bring a company down, destroying shareholder value in the process. Financials. Analyse the financials and key ratios of a company. A consistently successful company should have a long-term track record of outstanding financial performance and also be financially secure with no threat of defaults. Valuation. Analyse the true value of a stock and whether it is significant undervalued compared to its stock price. Different business models and situations require different methods of valuation. We need to pick the one that is most suitable. We might not always use all four quadrants for every analysis; it depends on the type of company and the particular investment situation we face. But overall these are the four areas you want to look at when you do your research and analysis. Is Telechoice a good dividend investment? Telechoice International Limited has three business segments – personal communications solutions services (PCS), info-communications technology services (ICT) and network engineering services (NES). PCS – provides fulfilment, distribution and supply chain management services relating to mobile communication devices and accessories. They operate their own retail stores under the brand Planet Telecoms and they also manage concept stores for major mobile handset manufacturers like Samsung. They’re also the exclusive partner for Starhub managing StarHub Platinum Shops in Singapore and for U Mobile managing sixteen U Mobile shops in Malaysia. Their principal suppliers for their mobile handsets and accessories are Nokia, Sony Ericsson, Samsung, LG, Motorola and Huawei. ICT – provides enterprise IT infrastructure, business solutions and integration services, broadband network, fixed and wireless networking solutions, managed and hosted services, telephony and unified communications solutions and cloud computing applications and services. On top of that, they also provide consultancy, managed operations and utility computing services. The also provide other services such as IDD, global conferencing, SMS broadcast and mobility solutions under the SunPage brand. NES – is a provider of network engineering services and supplier of telecommunication products. They design, build and manage telecommunication networks and provide a comprehensive suite of specialized products and cost-effective solutions to address the network infrastructure needs of fixed and mobile operators in Asia-Pacific. Now that we have a brief background of how Telechoice runs its business, let’s have a look at its financials and their track record since 2005. The PCS, ICT and NES segments account for 71.3%, 17.6% and 11.1% of total revenue respectively. As we can see, the vast majority of revenue is from the PCS business segment. Total revenue has been decreasing since 2005, hitting a bottom in 2009 during the Great Recession. The company’s revenue has made a v-shaped recovery since then, hitting above $500 million in revenue again in 2013. But even though their revenue has been increasing the last four years, profit has decreased from $17.7 million in 2005 to $9.7 million in 2013. This was mainly due to the increase in their operating expenses and financing costs. Gross profit margin has been hovering between 7.8%-10.68%. I personally feel that Telechoice’s gross margins are too low. The low gross margins are mainly due to their PCS business segment which manages the Starhub and U Mobile stores and retails mobile handsets and accessories for the other mobile phone brands. Being a distributor, their margins are generally lower as a middleman. They are unable to price their products too high because consumers can simply buy them from other stores or directly over the Internet. Because of their low gross profit margins, Telechoice has to control their operating costs in order to achieve decent net profit margins, but it seems like they’re having a hard time doing so as evident by their single-digit net profit margins. To break it down into the various segments – PCS, ICT and NES have net profit margins of 1.3%, 1.7% and 4.5% respectively for 2013. From the chart, we can see that Telechoice’s main two revenue contributors, PCS and ICT, have decreasing profit margins. Only the NES segment’s profit margins are increasing. The company’s cash flow has not generally been consistent throughout the past nine years. The years with high cash flow were due to a decrease in inventory purchases and accounts receivable. On the flip side, the years with low cash flow was because of increased inventory purchases and accounts receivable. Capital expenditure has been stable over the past nine years. The company has maintained a decent cash ratio of over 0.5 for most of the years. The debt/equity ratio ranged from 0 to 0.29; a good sign that the company is not over-leveraged. Moreover, their debt is easily covered by their cash position. Cash flow to net income ratio measures the quality of the company’s earnings – you want a company to generate actual positive cash flow for the profit it makes. Looking at chart, Telechoice’s ratio is usually below 0.5 which doesn’t reflect high quality of earnings. This was mainly due to an increase in their accounts receivable – more of their cash was stuck with their customers. Due to falling profits, Telechoice justifiably hasn’t been able to sustain their dividends – falling from 4.5 cents per share in 2005 to 1.6 cents per share in 2011 which they’ve been able to maintain so far till now. The entire board of directors are make out of non-executive directors which means that they do not handle the day-to-day operations of the company. The person in charge of actually running the business is the president, Andrew Loh, who recently stepped down last year. During his tenure from 2006 to 2013, Loh emphasized that he was continually looking for ways to improve the company’s margins in the annual letter to shareholders, but after 2009 onwards, Loh stopped mentioning it. As we’ve seen, Telechoice’s margins from their main business segments have been falling the last nine years and Loh didn’t manage to arrest the slide. Vincent Lim has taken over the reins as president and it remains to be seen if he can do a better job than his predecessor in improving Telechoice’s profit margins. Till then, I would personally stay on the safe side before I consider investing in Telechoice. Telechoice’s business environment is highly competitive resulting in low, single-digit margins for the company. Looking at the financials and ratios, I feel Telechoice business fundamentals hasn’t improved over the last nine years and it remains to be seen if the new president can turn things around. Right now, Apple and Samsung dominate the smartphone industry and one possible risk for Telechoice is that sales from the other smartphone brands they carry – Nokia, Sony Ericsson, Samsung, LG and Motorola – could be negatively affected as consumers simply don’t take to them. But due to Telechoice’s strong relationship with Starhub and U Mobile, even with the deteriorating margins, the company is highly unlikely to go bust. Telechoice’s dividend yield is 6.2% at the moment. That roughly works out to $7 million annually in dividend payouts which seems sustainable as the company has been able to generate cash flow above $10 million/year for the past two years. I receive a dividend yield of 8% or more. Due to the competitive business landscape and the company’s decreasing margins, I would demand a higher dividend yield in the present in order to compensate for the possible drop in share price if earnings continue to decrease in the future. Even then, I would continue to watch the stock closely because if the company’s fundamentals deteriorate far too much, I would probably want to exit fast as well. The new president proves he can improve the company’s business fundamentals and increase profit margins. That would be a hugely positive sign because ultimately I’d much rather invest in a company that’s heading upwards over the long run. Just curious about Nera Tel analysis instead. Btw, I still don’t know what Fifth Person doing, how you make money with just share article online free? We have a book listed on Amazon: Value Investing in Growth Companies by Victor and Rusmin and we have a Quickstart Guide to Investing for beginners. Fantastic write up and analyse. Out of curiosity how long does it takes for you to analyse a company. The best is you are able to get data way back from 2005. May I know where did you get all these data? Hope you can post more of these analysis so that I can learn from your expertise. It takes me around two weeks to fully analyze a company; when I include a competitive study of their competitors as well, it can take me up to 2-3 months of research.